This project, she stresses, has in effect been gestating ever since she first fell in love with Mozart at the age of six. It continued when she gave her debut at nine with a provincial orchestra, and intensified when she was 13, playing the G major Concerto under the baton of Herbert von Karajan. The trios she has chosen to record are – unashamedly – the ones which give the violin most to say: these works, she says, show Mozart writing for pure enjoyment, also for his own as he played them quite often. 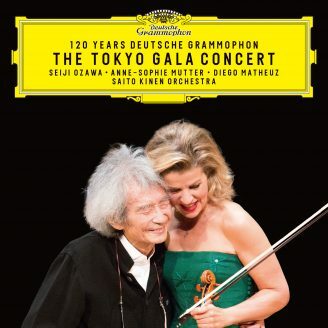 The concertos represent in her view an astonishingly rapid explosion of the composer’s genius, over a very short space of time; the sonatas show him steadily emancipating the violin from its subservient 18th century role as an accompanying instrument.